Sylwia Gorajek was as an outsider to Silicon Valley but within a few years, she has become the talk of the town (literally!) as she has established one of the most talked about shows focused entirely on Silicon Valley – Valley Talks. Running this successfully along with her video production company, Denim Video, Sylwia knows the hacks to starting things and sustaining them whilst leading a work life balance to envy for. In this interview with me, she talks about the inspiration behind her talk show, dealing with depression of failure, her networking hacks, getting press, how to make it in Silicon Valley and a whole lot more. This is a must read for all Silicon Valley aspirants. Abhik: Tell us about your show Valley Talks and inspiration behind it? Sylwia: Sure, so Valley Talks is a talk show where I interview startup founders and experts from Silicon Valley. When I came here 5 years ago, I had no clue about startups and came to expand my video production business which I was running with my husband in Poland for a few years prior to arriving here. I didn’t know much about startups. However, I had an idea for a hyperlocal messenger that came to me while we were exploring the United States. After a year of being here, I kind of realised, people are doing this, they are doing startups, they are raising money, maybe I will go for it also because I have this super disruptive idea, right? I ran this startup for a year and a half but it was hard. I realized some fundamental things were not in place. This caused me to leave the project. It was a super tough decision to make. Not even a month after that, I started to work at Apple and Netflix on some awesome projects for them. As I continued working there, I wanted to do my bit for startups, to have this connection and tell stories of startup founders here. I felt like it was super important to show people what happens behind the scenes of upcoming startups. So that’s how I started to interview other founders. I felt like it is important to inspire and educate everyone else aside of Silicon Valley. Abhik: What message are you trying to promote through Valley Talks? Sylwia: Well, actually there are a couple of messages! One is that growing a startup is not easy. Some people think that it is awesome to build a great product which everyone will love because you think there is a huge need for it. That you will post it online and it will blow out following which everyone will start using it the next day. This does not happen and it is very rarely the case. It may happen but that’s not really how businesses are built. It is not normal to happen. There are many components in just building a business and scaling a startup. That’s one of the messages – that it is really hard. It is not like we see in the media, that it is so awesome and glamorous, it rarely is. But on the other hand, my second message is that although it is hard, once you dive into it, you will realize that you are not alone. It is not just you going through all of this. With Valley Talks, I want to show that other founders also, you know, with many successes under one’s belt, have been going through the same or are still going through this, with a specific focus on how are they dealing with this. Abhik: You touched upon a psychological issue which goes on when you are a startup founder, how it was very hard of you to let go of the startup which didn’t work out the way you wanted it to. So, can you talk about the psychological risk which entrepreneurs take when they jump into the startup ship? What are your ways of tackling it? Sylwia: Yes, sure, that’s an awesome question. So, actually, when we dive into something, ideally we should love what we are doing. Because that devotion is needed to do it for 24 hours a day. We have to love this, but once we love, it is hard to deal with some challenges or difficulties. We get frustrated very easily. And it stresses us so much. This stress and frustration is a very hard thing to deal with and sometimes when they are very long term, it may become chronic and can actually make changes in your brain. It may cause your dopamine level to not be on the same level as it used to be, your brain cannot be happy anymore, altogether a very dark state of affairs. That’s how depression starts actually. It is very physical, very chemical, I would say, it has nothing to do with weaknesses. This is something very important to be aware of in advance, I guess. Now to really take care of your well being, make sure you relax when you see that things are getting out of control. Just give yourself a little break and have some fun. Because otherwise, your health will not let you run the business anymore. Abhik: Coming to the interviews which you do, can you name some interesting startups that you have had on your show and what exactly you found appealing about them? What was the WOW factor about them? Sylwia: Yeah, I am so excited that my guests are sharing such awesome things in every single talk that we have. But I guess that maybe some of the recent ones that I just released like the talk with Ranidu Lankage of Whale are altogether awesome. I feel like in every single sentence we spoke during the interview he nailed it in this or that way. So one of the things we spoke about was customers. It is common knowledge that we should talk to customers, this is one of the basics of growing a business but he made an awesome point about talking to the right customers. We definitely do not want to talk to the customers that are happy, because it will only make us feel awesome about what we do. We need to talk to people who would like to use our product and ideally know about our product and are not using it. That’s one of the insights that he shared and that’s really awesome tip. Another awesome learning revolves around seeking help. Many people mention this on my show that we should not be afraid to ask for help. This may seem trivial but that’s kind of true. We are often shy or do not want to deal with refusal, but if even someone refuses it, just don’t take it personally, it is just because they would say the same to anyone else in the same position, just don’t worry about this. And you would be surprised how many times people actually help you and that may change the whole direction or your business. That’s what many founders shared on my show. The third important learning is about the founding team. It is very important to choose your co-founders wisely. It’s like a marriage. You do not plan to have this company for two years only. You want it to be your lifetime partner in success. You can’t do this with unsuitable founders. So, don’t jump into partnerships too fast, just explore and be patient, I guess. Also, this is one of the things that is evaluated by investors, a lot of times even before your business. Ryan Bird and his team from G Startup Worldwide are reviewing around 5k startup applications a year from around the world for their pitch competitions. Those applications are then forwarded to a huge network of investors. He mentioned that the team is a super important criteria at this stage and sharing what they have already achieved is more important than promising wonders. Abhik: Tell us about your journey from Poland to Silicon Valley? Please share some of your experiences and insights which other Silicon Valley aspirants can learn from and add to their playbook. Sylwia: I would say, start with exploring. You don’t need to make the full jump, start with coming here for as long as you can, even something like 2 weeks will always be helpful. What I did with Jakub, my husband is we came here for a month and before we came here we networked with people though the internet. Finding them is something you can do in any place. Try to use this time the best you can and plan this beforehand. Start knowing people, maybe look for a partner, someone whom you can give value and who can give value to you. That was our goal in the very beginning and that’s how we started. This is something that doesn’t cost you much. Just find someone here who you can match with. Someone who will guide you through the first weeks or months. Also, visas are another huge aspect but at the very beginning tourist visa is good enough for your needs. Start with that and then start thinking about options for a long-term visa, start to talk to immigration lawyers. Actually, there is going to be a very interesting interview on Valley Talks very soon about choosing immigration attorneys and immigration visas for entrepreneurs and employees. I would say that choosing the right immigration attorney is as difficult as obtaining the visa. It is an equally important component to really do things right. Abhik: Tell us your thoughts on the Startup scene back in Poland. Sylwia: Actually, I moved here to SF right after my Master’s degree. I didn’t have the chance to explore the scene in terms of my experience and my own business. I was in Poland a month or two months ago and I know a lot about it from my friends or other investors who are either investing in Poland, often travel there, or just exploring the area. First of all, we have a huge, fantastic group of engineers in Poland. Polish people are very ambitious and educated. Very smart. We want to be successful, we want to go global. We want to feel proud, want the world to know more about Poland than what it has heard about it so far. So that’s why I guess the quality of our work is really awesome. What the challenges there are the investments, I guess. There are not as many investors, there is not a proper investor scene. But of course investors will say that there are not as many quality startups to invest. So it is a challenge of matching those startups with right investors. This is something Poland still needs to learn about. Abhik: What are the Startup niches which are thriving there in Poland? Sylwia: Hardware is a big niche in Poland. I know several startups from this niche. Also software when it comes to market places is another big niche. Search Engines are doing big too. Abhik: You have previously worked for Apple as a content editor for Apple Music. So how was the experience working for Apple, what is the culture there? Sylwia: Apple is such a big company that there are two cultures – A unanimous general culture spread across the organization and exclusive sub cultures which exist in between the teams and varies from team to team. In the team I was at, I would say it was a very confidential environment. We were dealing with things which were about to go public on Apple Music. It was very secretive, I would say. It wasn’t ideal to discuss things you were working on between each other. I heard this to be a very common norm in Apple in general. They want the information to be pretty internal even within the team because of the security reasons. I guess it is their main policy. But otherwise it was really friendly, really great products to work on, I was really excited about my project. It does depend on the team you are in and like in any other big corporation, there are rules that you need to obey. Abhik: How was the experience at Netflix where you worked as a quality control engineer? How was that like compared to Apple? Sylwia: Yes, Netflix is a much smaller company when it comes to number of employees. I guess there are 3k employees, at least this was the case one year ago when I was working there. This is crazy! It has already been a year since I worked there. Netflix has still much of the startup kind of vibe. I loved working there, because even as a new person, they give you a voice. Everyone there has a voice. Everyone can say what they think about the product, what their family and friends thinks about the product, thus give feedback accordingly. Often times this information will be gathered and taken into consideration. I felt like I had a lot of say and the environment was very friendly. Netflix culture prides in allowing you to bring your kids to work, your dog, your pets to work. Very flexible hours of work. Free lunch. Yeah, as you can see, I fell in love with the Netflix culture when I was there. Really awesome culture and awesome company. Although it is not a startup anymore for many years now but nonetheless a very friendly environment to work at. Abhik: What kind of impact does a relaxed culture have in the productivity and final output of employees. As you know, there are arguments both in favor and against it, so can you share your own personal insights? Sylwia: Sure, when you are running a business, your time is really up to you. So that’s usually the case when you are being your own boss and it applies more so when you are in the creative or media industry. Now, contrary to that, working at a company is different coz each company believes in their own school of thought and philosophies to which you need to abide to. Actually I have a great comparison between Apple and Netfilx. Because at Apple they would have strict lab hours, but in comparison, the Netflix hours were super flexible. So within a week or two I transitioned from one into another and had a great comparison to experience and analyze. I would say both approaches to work schedule have their pros and cons but judging by Netflix, the flexibility they have is enormous. We didn’t even have to come to work. We could work from home or we could go out and make a round around the lake. There is a lake nearby. You could do whatever you wanted. Of course you had to be updated with what was going on. This gave you so much happiness and joy that you actually fell in love with the company for giving you this much freedom, the result of which was that you really wanted to work more for them. That’s what I felt. For me it was an amazing approach. I can understand that some people can abuse this and that is the exact downside to this approach, so maybe it is not for everyone. But my personal opinion is to choose people who would appreciate something like that. Choose people who really feel the mission of the company and want to succeed with you but at the same time to whom you can give total freedom to, so they don’t need to have any constraints. In the long run you will know if they are doing a good job or not, so it will become obvious. But it is also important to not to waste those several months with someone who doesn’t appreciate something like this at all. It needs to be a match and you need to analyze with task-result measurements. Abhik: You have interviewed so many startups and you have learnt a lot from Valley Talks, so according to you what is the key to a successful startup? Sylwia: Well, you know, it is something everyone would like to know. I wish there was one thing, one sentence that would solve it all, but I guess from my own experience and what investors are looking at, it is the founding team. It needs to be about the team, because nothing else matters if the team is not right. Regardless how awesome an idea you have, the team is the key to actual execution. If you have people who have complimenting skills, hardworking, people who understand where they want to go, even if not this idea, product or market, they can do something else altogether. I think this is the first thing to follow. Apart from this, following some key rules like talking to your customers, making sure you know the strategies to grow in your niche are essential in building a formidable startup. Abhik: What are some golden rules for networking according to you? Sylwia: I think that whenever you meet people at a meet-up or an event, you need to remember to follow up with them, to send an invitation on Linkedin, to talk to them the very next day at the latest. This is important so that they remember you and that connection actually means something. That’s a must do for sure. Another thing is to know how to introduce yourself in less than a minute. You do not want to bore people whenever they ask you about what you do. If you continue talking about it for ten minutes, it is plain horrible.They will never talk to you again. So I would say those two ones are the core ones to remember while meeting new people. Abhik: A lot of startups struggle to get initial press and word out, so how should a startup get some good initial press? Sylwia: The one thing which everyone mentions always is to target the right journalists. PLEASE do not just send out a bunch of emails to every magazine or whoever you find online. First thoroughly do your research. Actually it is similar to looking for investors or pretty much anyone who you want to approach. You have to know a little bit about them. Putting this extra time and effort will really pay-off, because people who you will be reaching out to will see the extra effort you have made to go personal in your outreach. So this is something important. If you find people, journalists who write about similar space, similar topics or markets there are pretty high chances they will write about you because this is their job and they want to have some awesome content. Research about their work, mention it in the email to add that touch of personalization and then pitch your story along with mentioning how it will benefit the readers of the said journalist. Abhik: You and your husband are both working on startups, so any tips on work-life balance? Sylwia: Business and personal life are mixed in our situation but it’s been like this almost forever. Even when I was at Apple or Netflix I was recording Valley Talks. So again, we were doing this together. We like this kind of personal-professional mixed lifestyle. We don’t have to ask anyone for permission. And also, we are both very adventurous I would say. So with our personalities, it just helps us fulfill our passion. 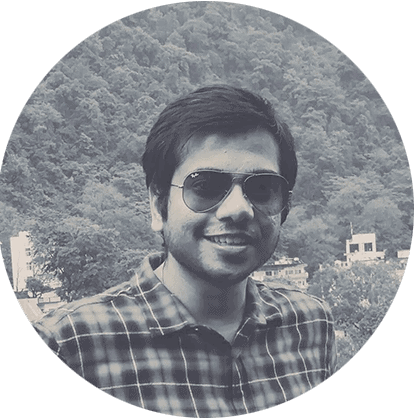 Abhik: How should startups reach out to you to get featured on Valley Talks? Sylwia: They can always contact me through the contact form on the website. I guess when they want to be featured, it always helps to fill out the form. It lets me know a little bit more about themselves in the contact tab on valleytalks.com, where there is a link to this form. You can always just shoot me an email but then I will most likely tell you to fill out the form and let me know more about your Startup. Abhik: What do you think are the key tips for some startup to succeed in the media industry? Sylwia: That’s tough, because there are so many of them, but one thing would be – make sure that your content is high quality. To do that, either have skills in terms of the format or partner with someone who knows how to do this. Secondly you need to look for feedback. You need to ask your viewers or potential viewers what they think. Those one are the two most important things to pay attention to from the very start. That concluded our interview with Sylwia. As mentioned, you can always reach out to her to feature your startup at www.valleytalks.com. Share this with friends interested in Silicon Valley.